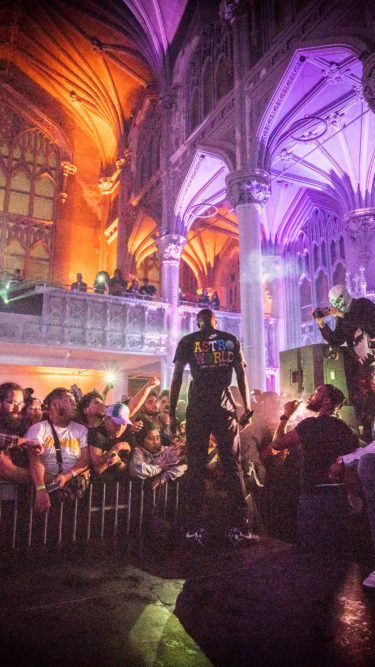 On October 8th, META and SPOTIFY created a gallery and performance experience for Sheck Wes and the release of his album “Mudboy” in an old antique church in Harlem, New York. 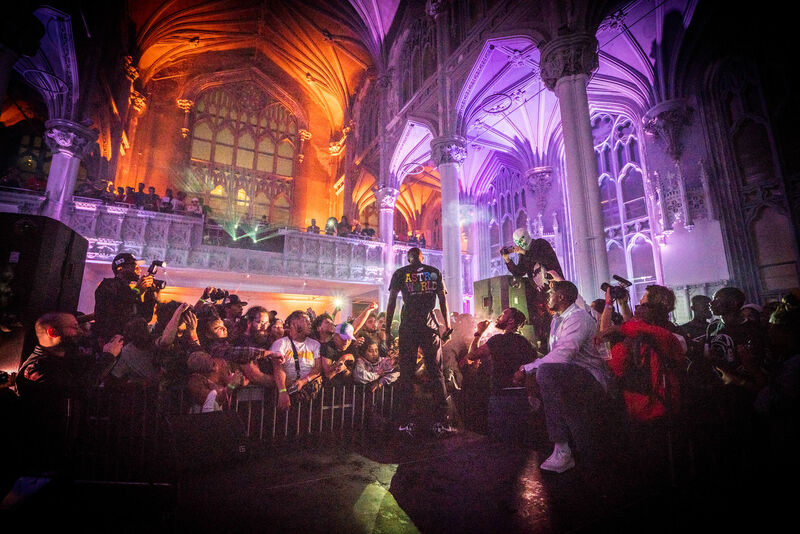 Upon arriving at the event fans explored a gallery of 15 photography images all representing songs from his album release, and interacted with a live photo booth array that broadcasted their shot onto a 65′ projection surface in real-time. After the event guests were able to remove and take home the one-of-a-kind large scale photographs signed by Sheck.